Like many teenagers, TiErika Hunt had no idea what she wanted to do when she grew up. At 16 years old and just a few years away from college, Hunt was feeling the pressure.But Hunt’s cloudy future came into focus in 2010. That year, she headed to China with the Voices of Unity Choir to compete in the World Choir Games. The culture and people of Southeast Asia resonated with Hunt on the trip. She had always had an interest in China and its language and wanted to go overseas to visit. Being a part of Voices of Unity gave her that opportunity. “That started the fire,” Hunt said.Now 22 and newly graduated from St. Joseph College in Rensselaer with a degree in International Studies, Hunt is set to return to the other side of the world.”In 2014, I went to Taiwan with my adoption parents to visit because my mom is from there,” Hunt said. “It was great. Everything my mom told me about was confirmed. I knew that is where I wanted to be after college. “Without the trip to China with the Voices of Unity Choir back in 2010, Hunt may never have discovered her passion for that part of the world and its people. 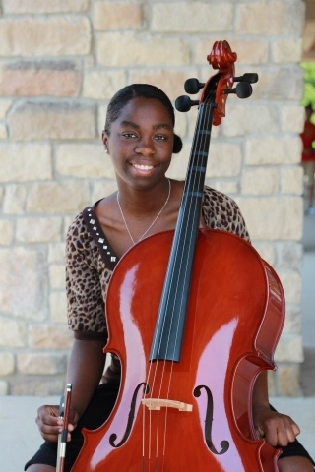 She joined the choir when she was 10 and only departed when she was 18 while working two jobs and preparing for college. Once a quiet, introverted youngster who scarcely spoke in public environments, Hunt was able to blossom and come out of her shell surrounded by other people in the choir in her age group. “I remember every choir practice,” Hunt said. “We would start off with a life lesson and talk about the wisdom of it and how to proceed in life and live out your dreams. “I took it and ran with it.”Hunt’s dream of living and working in the Far East is now about to come to fruition. She heads to Taiwan in July where she will teach young children English as a second language. The Voices of Unity Choir is still accepting donations to raise money for its “Journey to the Vatican” European tour coming in late June. The fundraising campaign will continue throughout the fall to raise money for additional programming and scholarships. Those interested in assisting the group can call their office at 260-481-6719 or reach them via e-mail at nchapman@upaf.com.If you are interested in registering your child in the Voices of Unity Choir, visit UPAF.com and fill out a registration form under the tab, “Get Involved”.